CentralParkHistory.com - A Complete Online History of the World's Most Famous Public Park! CentralParkHistory.com is divided up into an easy-to-follow timeline, covering major events from the 1850's through present day. To get started, click here. Ever wonder who's responsible for the creation of the park? Or who the most influential figures are in the park's history? To find out who's who, click here. 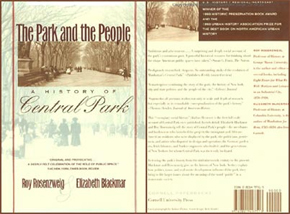 CentralParkHistory.com has been made possible in part by a donation from the creator of the Central Park Poster. To find out more about this amazing poster or to order, please click here or on the image below. Check out the other Central Park Merchandise.